About Us:- Amazon.com is looking for talented software engineers to join the Inventory Planning and Control Automation team. 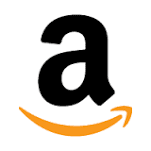 As a member of the team you will have the opportunity to work with complex algorithms and build highly scalable services handling thousands of requests per second that manage inventory plans for millions of items on Amazon.com. Your primary responsibilities will involve the design and implementation of highly available and scalable systems. With Amazon.com having the worlds’ largest selection of items, you will implement highly technical solutions to increasingly complex business decisions impacting millions of dollars a year. You will leverage cutting edge technologies in big data, machine learning, real-time analytics and high volume, low latency, high availability services. If you are looking for an opportunity to solve highly technical problems in an environment that nurtures innovation, a chance to work with highly dedicated, smart and passionate software developers, this is the role for you. The ideal candidate will have excellent communication skills, a passion for solving problems, deep technical knowledge of Java (or any OOP), and the ability to deliver high quality results.